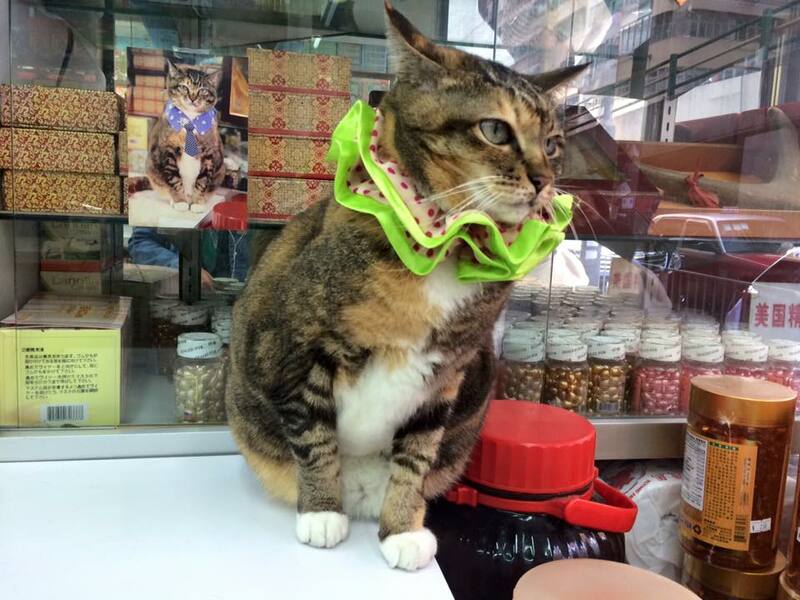 The woman behind the viral sensation “Wanchai Cat” has debunked claims that the feline is mistreated and said that she is “loved, adored, and well cared for”. 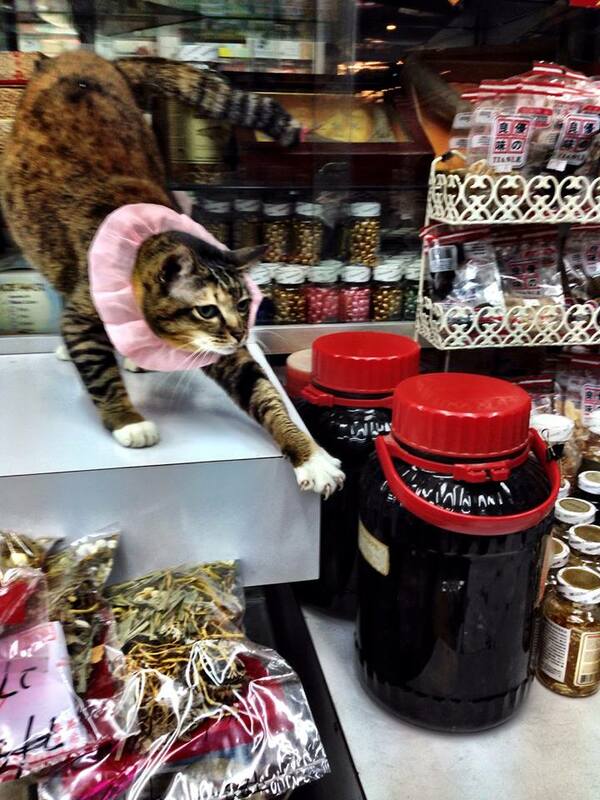 Wanchai Cat is a popular Facebook page dedicated to the adventures of a cat living in a pharmacy in Hong Kong. The cat, whose real name is Hawaii, is 13-years-old and can often be seen wearing scrunchies of different colours. Wanchai Cat. Photo: Facebook via Wanchai Cat. Last Tuesday, a video of Hawaii titled “[VIRAL] cat in scrunchie stands on hind legs” was posted onto the page. The video shows Hawaii, with a pink scrunchie around her neck, standing still on her hind legs for about 30 seconds while looking hypnotised. It became an internet hit, garnering 1.2 million views and over 16,000 shares. 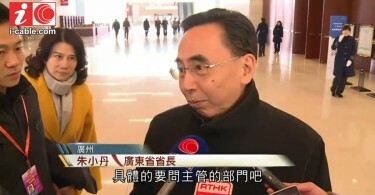 However, many netizens began accusing the cat’s owners of abusing and mistreating her. Speaking to HKFP via email, Justina Chong, the woman behind the Facebook page, debunks the accusations and explains how the fan page and viral hit came to be. “My sister and I first met Hawaii about a year ago. There she was, perched on the counter in her neon green Elizabethan ruffle. We’d never giggled so hard. And yet she seemed strangely familiar. It turned out our friend had been posting pictures of her on Instagram for a couple of years with the hashtag #wanchaicat,” Chong said. Hawaii’s rise to fame, however, came with unintended consequences; the spotlight soon fell on her owners, with many accusing them of mistreating the cat. “[A]ll these really awful comments began to roll in, accusing Hawaii’s “dad” of abuse, accusing us of exploiting the cat online to attract business to the shop. At some point I remember looking up from my phone and thinking, ‘What have I done? '” Chong said. 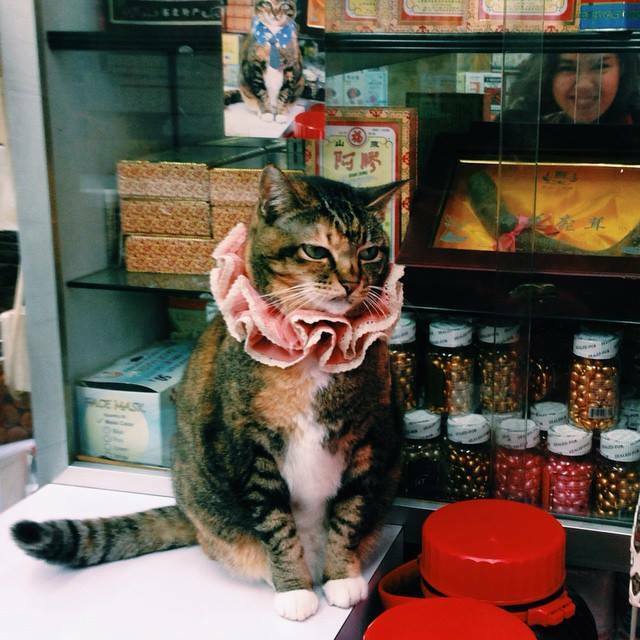 Wanchai Cat wearing one of her many scrunchies. Photo: Wanchai Cat via Facebook. Wanchai Cat. Photo: Wanchai Cat via Facebook. And is Hawaii the new Brother Cream? “Definitely not. She is the one and only Hawaii, snarl and all,” Chong said.